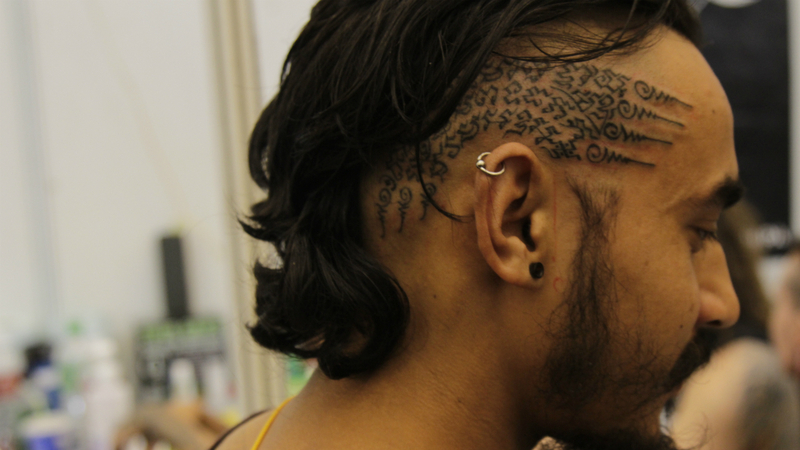 I have often asked myself – Why is tattooing so powerful? And I feel that it’s the power of permanency. Of that one moment in time when you decide to go through with it. You live every minute of that process. Every time the needle pierces your skin, you feel it. You are creating a permanent memory. And a piece of art that you will carry with you throughout your mortal existence, at least. It will live with you and die with you. 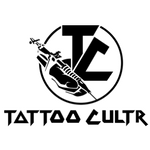 Tattooing is one of the oldest art forms throughout history, which connects all of us through its tradition. 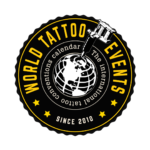 Today, when we think of tattooing, we think of swanky tattoo studios, tattoo machines, needles, stencils and specially manufactured ink. But the moment we travel back a hundred odd years, the tools change completely. 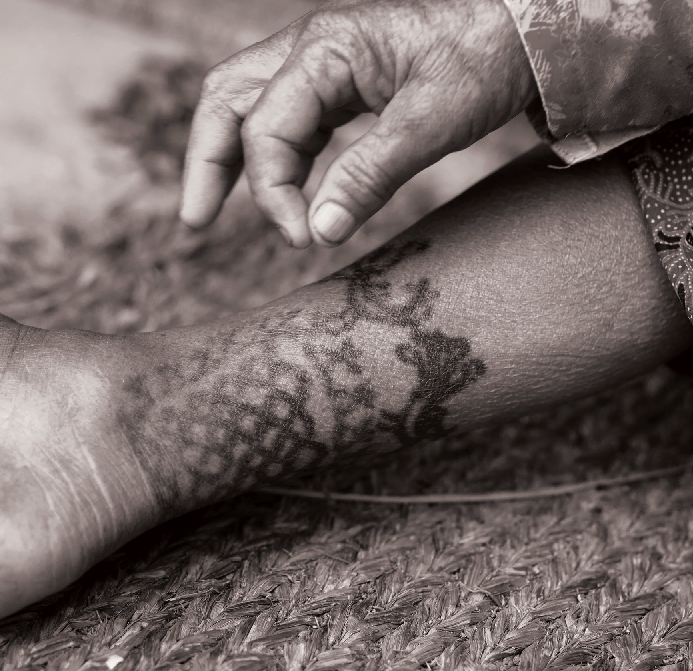 Traditionally, tattoos were made by poking into the skin, using natural dyes and sharp thorns and bamboo sticks. With the invention of the electric tattoo machine, this method of hand poking took a backseat but it has managed to survive. That’s the thing about tradition – you can never lose it. Tradition is what connects you to your own history. 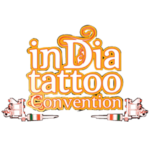 And over the past few decades, hand poking is making its way back into the commercial and contemporary space of the tattoo industry, globally. 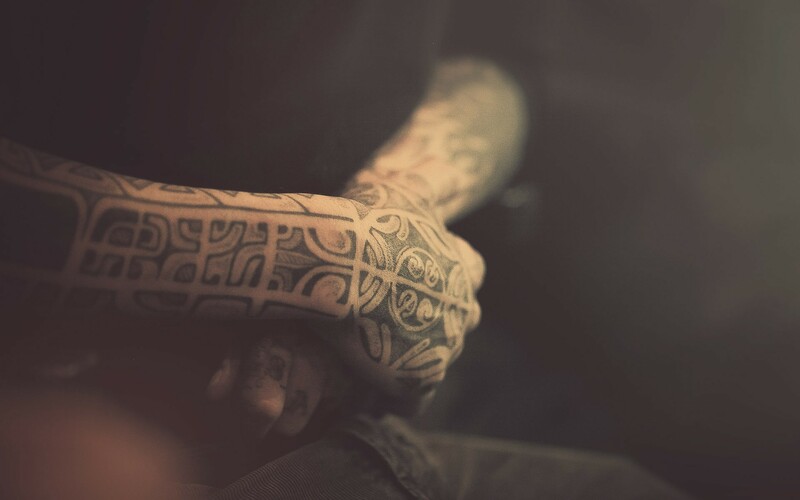 But it’s the connection of hand poked tattoos with history, culture and tradition that makes it a bit more special. 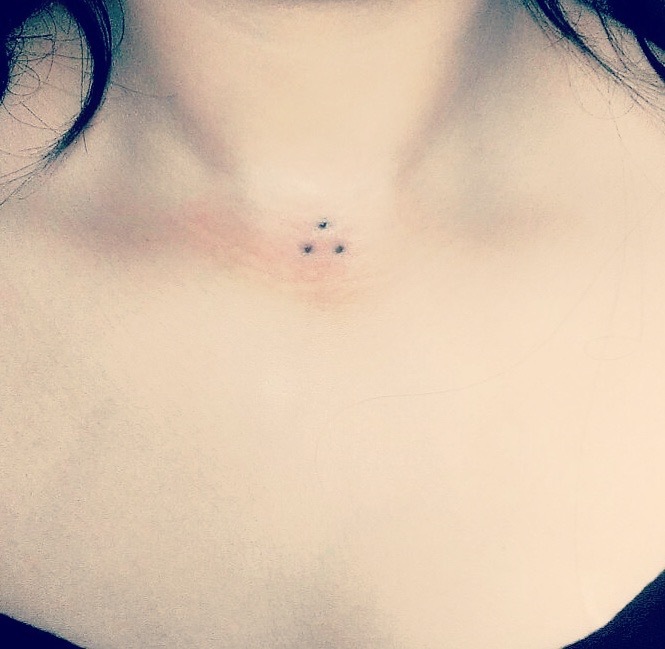 My first tattoo was a hand poked one. 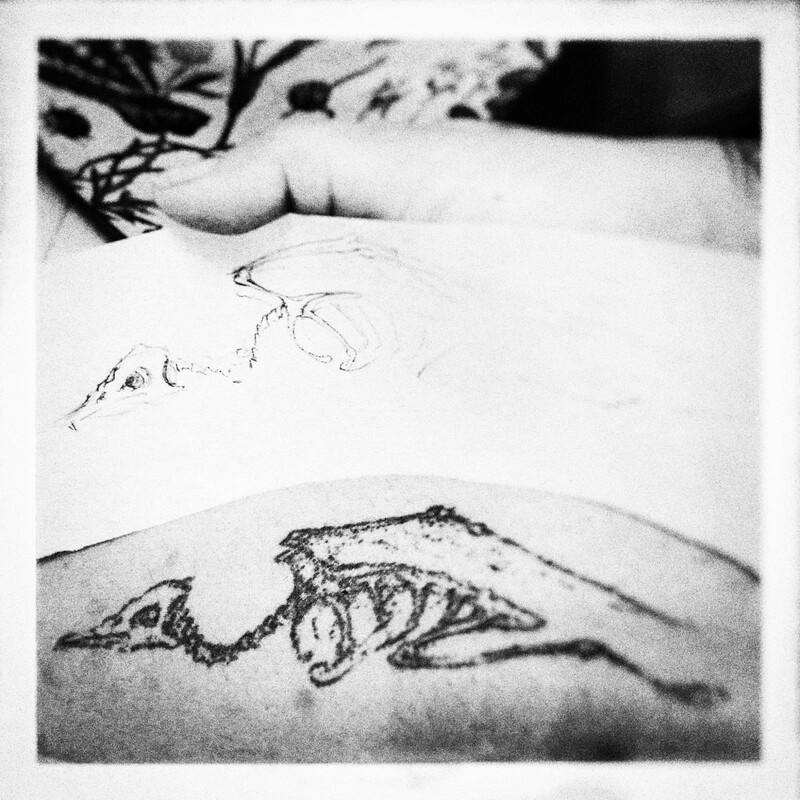 I did it myself with a sewing needle and non-toxic permanent ink, more than a decade ago. The lines are thick and uneven at places, the design is off centre, but I have never thought of getting it corrected or changing it in any way. 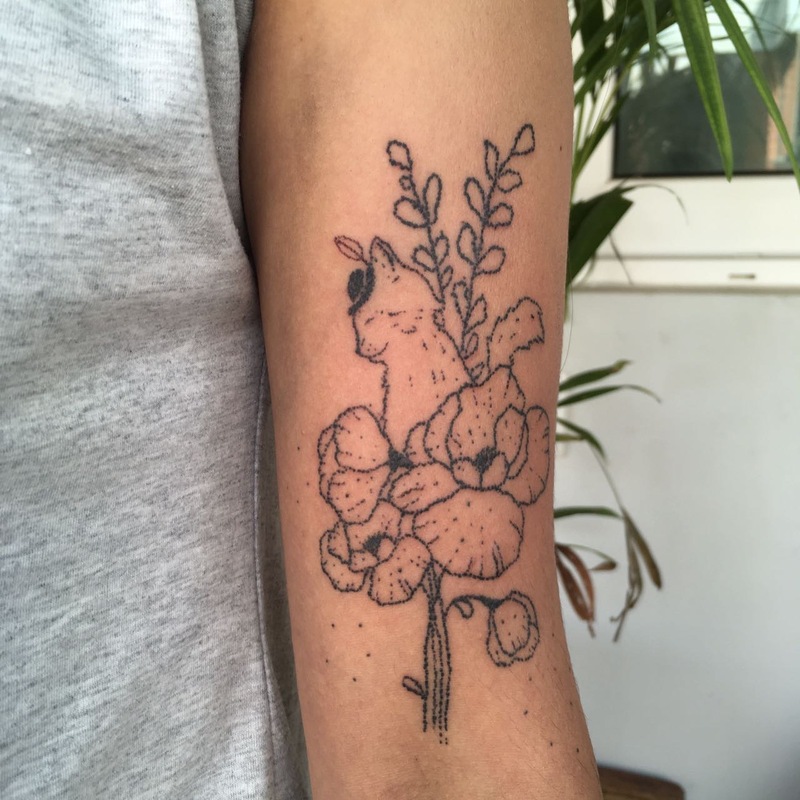 The process I went through, the concentration, the commitment to complete the design and the pure joy of creating something on my own skin – that’s what I remember from my first tattoo session. Every dot, every poke was a piece of art in itself for me. 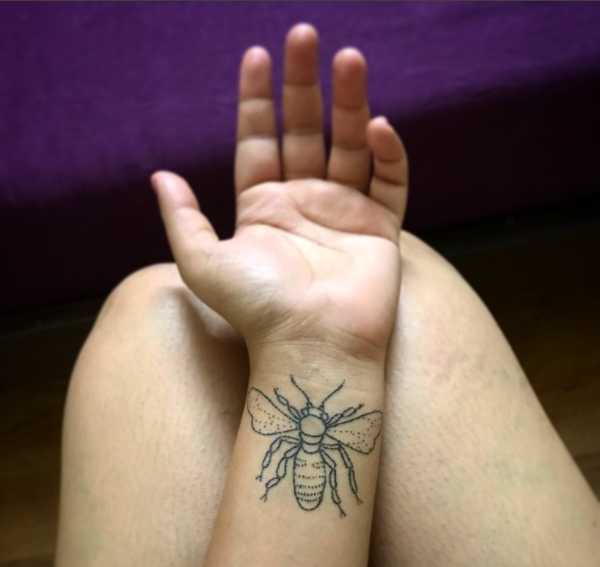 Vani, a tattoo artist herself, says that hand poke is natural and ancient. “For me, it was more like going back in time. 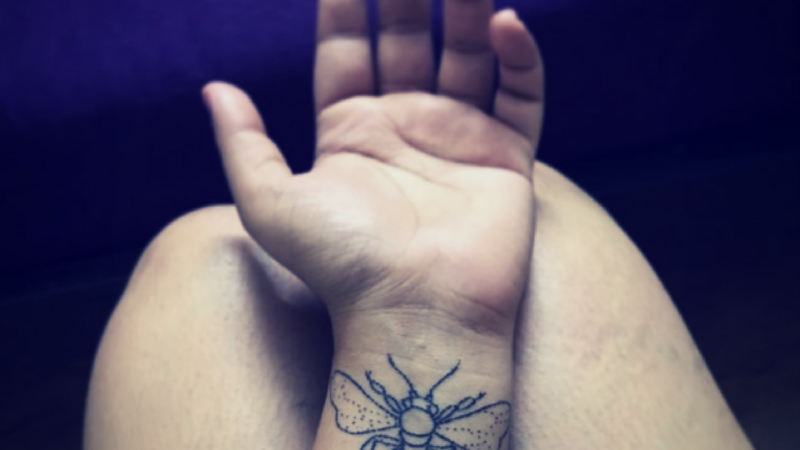 There was this excitement to be able to relive an experience that would connect me to my ancestors in some way – to a time when tattoos were not considered a western influence, but were a part of our tradition,” she says. 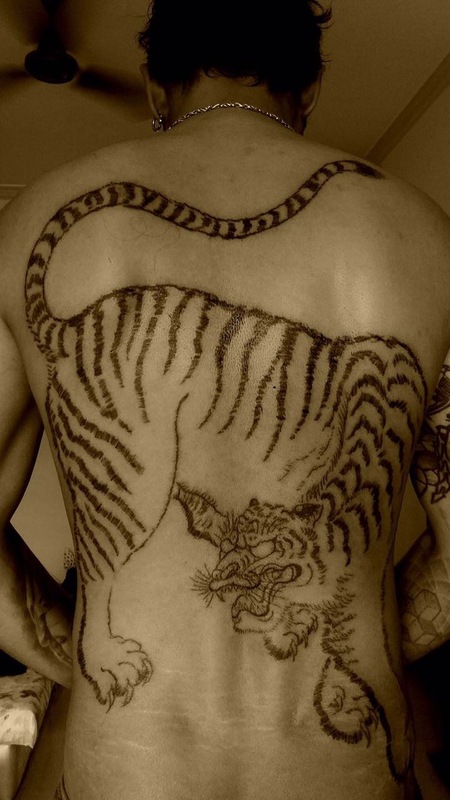 Kevin, another tattoo artist has a work in progress back piece which is being done in the Japanese tebori style of tattooing. While most hand poking is done with single needles, one dot/ poke at a time, in the tebori style, a number of needles are tied together so that with each jab, the space covered is a lot more. This method also gives a special fluidity to the finished art in its look. Kevin Andrade’s back tattoo in progress in tebori style by Akitsu Tomo. “Tattooing for me begins with the Japanese form. That’s where the fundamentals come from. I have always been fascinated with the tebori style. And when Akitsu Tomo came for the convention, I knew I had to get one from him. I associate with the tiger and its raw power and that’s what we decided to do. I still have many hours left for this to be completed. But every moment of the first sitting is fresh in my mind. I remember every jab, every flick and the only way to describe it is that I felt completely alive,” he says. Kevin is himself one of the most renowned artists of India. A couple of years ago, I got a hand poked tattoo by a graffiti artist, whose art work has always inspired me. So when she suggested that she would like to tattoo me, I didn’t even ask what design she wanted to do. For me, it was an incredible opportunity to offer a part of my skin to an artist. It was a long afternoon spent in her house where we spoke about our Bengali upbringing, our conflicts, our fascination with slightly darker expressions of art- all of this while she kept poking my skin with a needle. The pain wasn’t even a factor. It was about the connect. Every dot became a promise between the two of us. I was a witness to an artist and her art. Every time the needle went through my skin, I felt gratitude and respect. That afternoon, I connected with history and tradition, over centuries, through the needle and the ink, and one poke at a time.